With a stay at ibis Shanghai Yu Garden, you'll be centrally located in Shanghai, a 2-minute drive from Yu Yuan Garden and 7 minutes from The Bund. Featured amenities include dry cleaning/laundry services, a 24-hour front desk, and multilingual staff. Self parking (subject to charges) is available onsite. With a stay at Meijia Youth Road Hotel in Changchun, you'll be 4.7 mi (7.6 km) from Chongqing Road and 4.8 mi (7.7 km) from Jilin University. Free self parking is available onsite. 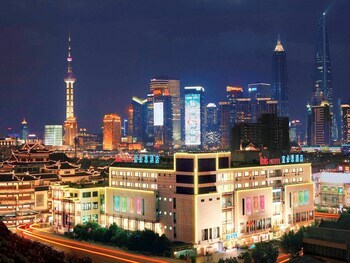 When you stay at Fengqing Express Hotel in Yichang, you'll be 14 minutes by car from Tianran Tower. Free self parking is available onsite. With a stay at Tianwaitian Hotel in Huizhou, you'll be within a 15-minute drive of Huizhou West Lake and Xi Hu. Self parking (subject to charges) is available onsite.